Ever wondered what happens at a food photo shoot? Read this report by Rebecca Gibson to find out more! One of the best days within the calendar year is when we get to flex those creative muscles on one of our brands seasonal photoshoots. Today is that day and the shoot for our Spring Elements refresh is taking place at one of our West London sites. The day starts off early with the chefs prepping the raw ingredients in the kitchen for the eight dishes we are featuring next season. 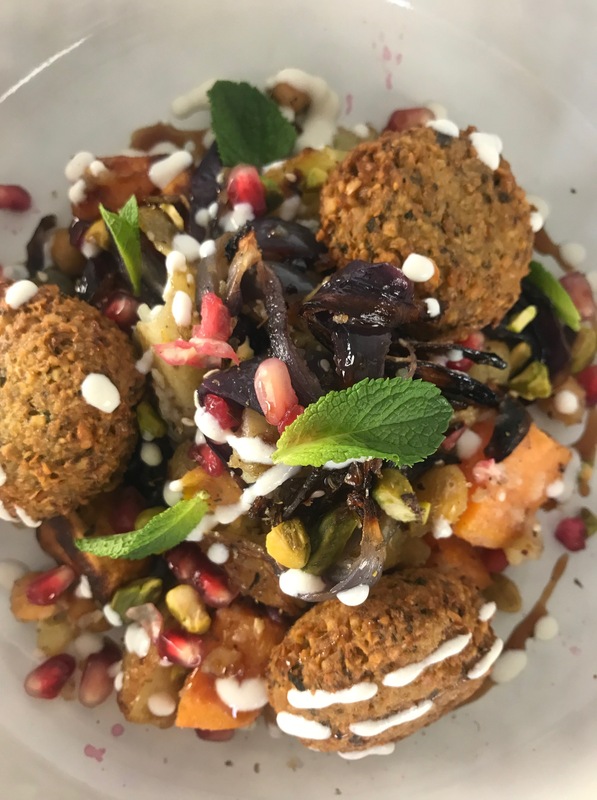 Each dish is carefully designed to fit within the Elements criteria, whilst also being nutritious, vibrant and of course, delicious! Our photographer Peter sets up the space as a blank canvas ready to be created into the postcard images you see on our posters and social media. The room is laden with props and accessories such as patterned plates, wooden boards, colourful napkins and silver cutlery, all ready at hand to bring the dishes to life. 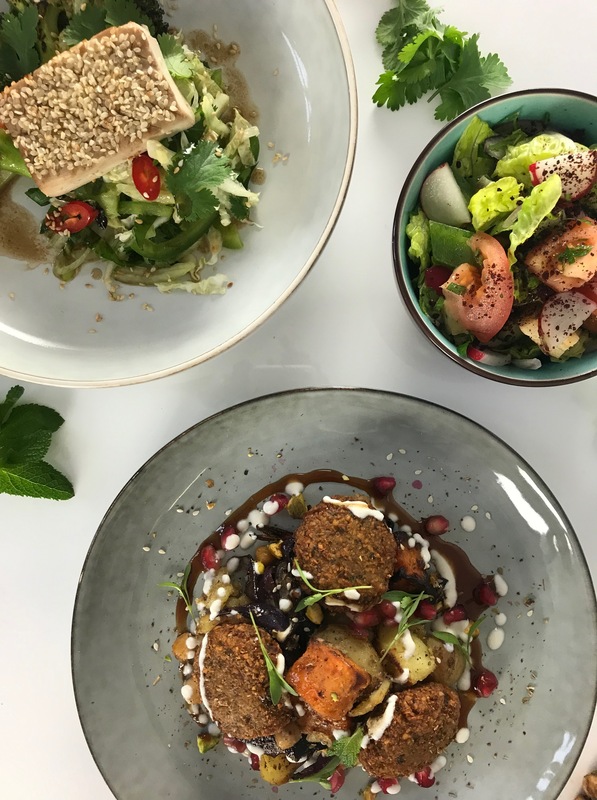 With a clean eating and vegan focus, the dishes from the new Spring range are brought out one by one, some of which include ‘Sticky ‘sesame’ tofu cubes, garlic & ginger fried broccoli, zingy oriental vegetable slaw’ and ‘Coriander falafel hash with fattoush salad & pomegranate molasses’. 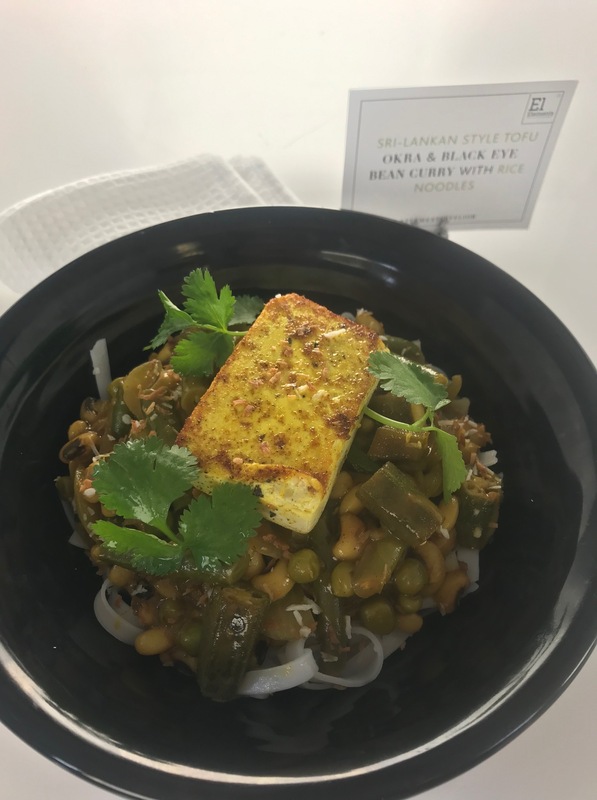 Photos are taken from a range of angles and surrounded by their raw ingredients until the perfect shot is formed and snapped before we move onto the next. After what feels like only five minutes, the day closes to a draw and Peter perfects the finishing touches to the final images before we release the new recipes and marketing collateral into the business. Due to all the fresh and seasonal vegetables we use within our Elements range, the images from this Elior brand in particular are always vibrant, striking and eye-catching, providing our most ‘instagramable’ photos we have to date. Let us know what your favourite Elements image is – follow our @Elementsbyelior Instagram page.